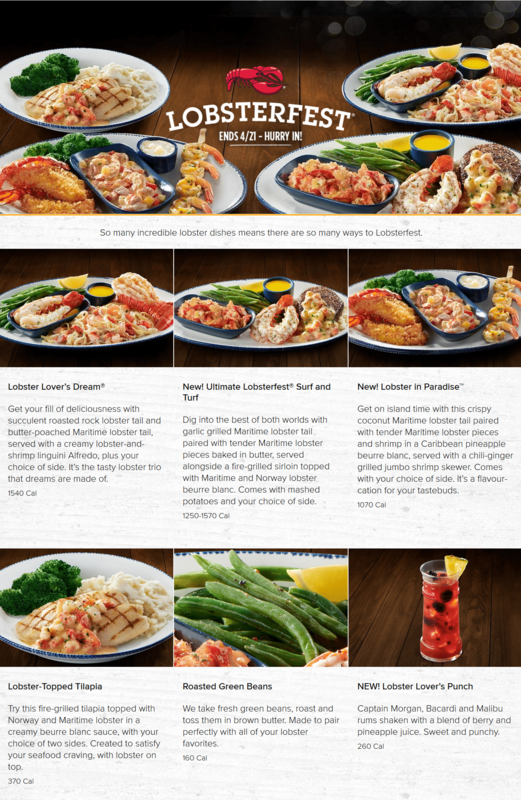 Find Red Lobster Canada Menu for 2019, and Dinner, Lunch & Crabfest Nutrition Facts & Calories. 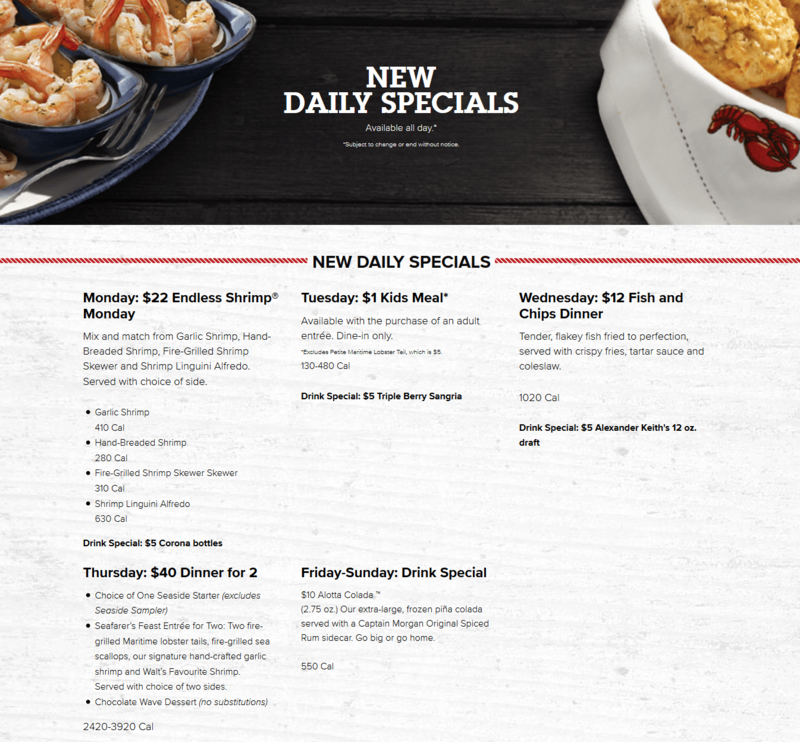 Don’t miss the Red Lobster Seafood Restaurants offers, Lobsterfest specials, Happy Hour offers and the seafood promotions & discounts. Prices may vary by location. Wednesday: $12 Fish and Chips Dinner – Get the tender, flakey fish fried to perfection, served with crispy fries, tartar sauce and coleslaw. Thursday: $40 Dinner for 2 – Get the Choice of One Seaside Starter, Seafarer’s Feast Entrée for Two, and the Chocolate Wave Dessert.